I love mushrooms and can eat them in abundance – especially sauteed in a little butter with some salt sprinkled on them! Yum! 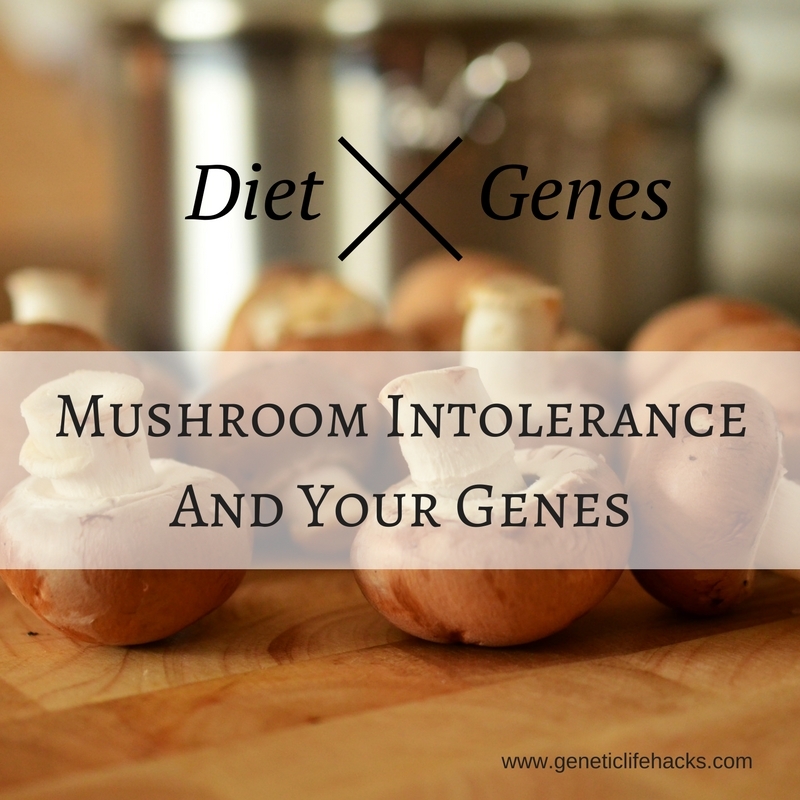 So I was fascinated to read a study that linked mushrooms, a certain gene variant, and Crohn’s disease symptoms. The study, Mushroom intolerance: a novel diet-gene interaction in Crohn’s disease, was published in the British Journal of Nutrition in 2009. It looked at the diet-gene interaction in a group of New Zealand Crohn’s patients and a control group without Crohn’s. The top foods that were found to aggravate were corn and mushrooms. The researchers linked those who were intolerant of mushrooms to a genetic variant of the OC/TN1 gene, which in previous studies had also been linked to an increased risk of Crohn’s disease. The OC/TN1 gene (now known as SLC22A4) codes for a transporter of organic cations, which means it moves solutes with a positive charge across the plasma membrane. Specifically, SLC22A4 moves ergothioneine, which is found abundantly in mushrooms. So what is ergothioneine? It has been the subject of a bunch of research studies lately due to its antioxidant properties and potential role in helping cardiovascular disease. Ergothioneine is produced by specific soil fungi and bacteria and then absorbed into some plants. Our main food source for it is mushrooms (white button, shitake, and oyster). Other food sources include liver, black and red beans, and oat bran. [study] It is interesting to note that in the Crohn’s study, other foods on the top offenders’ list included baked beans, chickpeas, and dried beans. The variant of SLC22A4 that is linked to Crohn’s disease and, in the study referenced above, to mushroom intolerance for those with Crohn’s disease, causes a gain of function with a 50% increased transport of ergothioneine (ET). While antioxidants are often thought of as only being beneficial, the study explains: “high levels of ET might lead to an antioxidant overload in red blood cells or epithelium, leading to pro-oxidant effects and/or imbalance in immune reaction. An alternative possibility might involve effects on pro-inflammatory cytokines or heat shock protein 70”. The SLC22A4 variant (rs1050152) is also referred to as the OC/TN1 L503F variant. Note that mushroom intolerance was only correlated with the SLC22A4 variant in those with Crohn’s disease. So if you have the variant, you may still feel fine eating mushrooms. I find it interesting that this SLC22A4 variant is associated with the risk of Crohn’s disease and ulcerative colitis in some populations, but not all. It makes me wonder if the risk could be driven by the amount of ergothioneine in the diet either due to the popularity of mushrooms or due to local soil microbial content. L503F variant of carnitine/organic cation transporter 1 efficiently transports metformin and other biguanides. Ergothioneine Antioxidant Function: From Chemistry to Cardiovascular Therapeutic Potential.